Once you’ve mastered the strategies involved in crisis response, you need the skills to stay cool under pressure. James Lukaszewski covers crisis from every angle. Learn how to handle media, activists and litigation. You’ll even learn the path to become a trusted advisor to your leadership team. ​Essential Skills to Be in Command in a Crisis. A crisis situation puts your organization in the spotlight, and there’s no shortage of people that are ready to attack you. 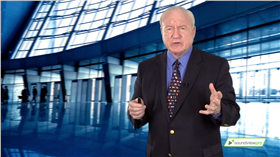 James Lukaszewski instructs you on the skills you need to deal with the people and groups that view your crisis situation as an opportunity to go on the offensive. You’ll learn how to create a media relations policy that deals in facts and keeps the record straight. You’ll also be given strategies to handle the onslaught of social media posts that can keep the focus strictly on the negative. Defend your organization against the threat of activists by learning the rules by which radicals operate. You’ll gain valuable tips to handle personal attacks and maintain your organization’s standing in the face of relentless pressure. And if you’re targeted for litigation, Lukaszewski’s steps to reduce your visibility are a much-needed antidote. The course concludes with a special class on how to become a trusted adviser to the top leadership in your organization. Advance your career and become a go-to person by learning the seven keys to a strategic mindset. The questions from reporters for which you’ll need to prepare. Critical ideas about answering back to social media critics. Why radicals target people, not organizations. The three tests for any legal communication. The three-minute drill for any trusted adviser. Section 2 What are the Impacts and Effects? Section 2 What Do Leaders Want From You? The instructor teaches many practical insights and skills for strategic crisis response. To rate you must sign in and enroll in this course.